New formats in UAE tournaments. The new fixtures for the domestic rugby season in the UAE have been released, with the landscape of the game in the Emirates much changed for 2015/16. The two premier competitions involving local clubs, the Sport360° UAE Premiership and Gulf Top Six, will alter drastically. The Premiership will change from a round robin format where the six teams play each other once before the top two qualify for the final to teams playing each other home and away. The final is likely to be scrapped, meaning the team who top the league will be crowned champions. The GT6 will undergo radical changes, with the amount of teams rising from six to nine, with no qualification. In past years the top four teams in the UAE Premiership had qualified for the GT6 with the bottom two dropping down into the Gulf Conference. Canes, Quins, Abu Dhabi Saracens, Dubai Exiles, Jebel Ali Dragons and newly-promoted Al Ain Amblers will all play in the revamped West Asia Championship, alongside Doha, Bahrain and Muscat. Teams will play each other once, with the winner also set to be crowned by way of league winner rather than a showpiece final. In addition, the West Asia Championship will no longer conclude the domestic season. Instead the UAE Premiership will be played either side of it in two stints. Rounds one to seven will be played from September 25 to November 6. The WAC will then be played from January 8 to March 18, with the final three rounds of the Premiership played from March 25 to April 8. 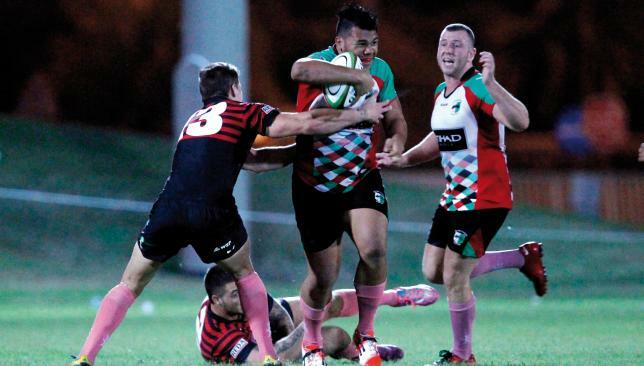 The mouthwatering Abu Dhabi derby between Quins and Sarries starts the season in explosive fashion on Friday, September 25, at Zayed Sports City, while Dubai Exiles welcome Jebel Ali Dragons and Amblers travel to Dubai Hurricanes. The 11-team UAE Conference will continue with the same structure as previous seasons. There will be 11 rounds of action before the teams split into the Top 6 and Bottom 5 playoffs, with those respective finals due to be played on March 25. 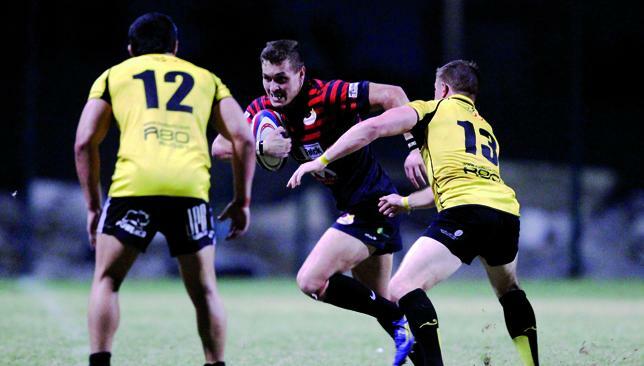 Pieter Morton has signed for Abu Dhabi Harlequins as he bids for further success. South African centre Pieter Morton has swapped Saracens for Harlequins in Abu Dhabi, claiming Quins are “hungrier” for success than their rivals next season. The 23-year-old was a big part of a Sarries team that beat Doha to win the West Asia Cup last season. Switching sides in the capital is nothing new. Sarries’ West Asia Cup-winning head coach Ali Thompson played six seasons for Quins before moving across the city in 2013, while Clendon Pene, who enjoyed two stints at Quins, also played one season for Sarries. Yet Morton’s move still comes as a shock. He caused a stir on social media on Thursday when he posted a picture on his Facebook and Instagram accounts, with the caption ‘The wolf on top of the hill isn’t as hungry as the wolf climbing the hill’. Morton told Sport360: “Lots of people have asked me why I’ve left when Sarries won the West Asia Cup. I know Quins will be exceptional next season. They won the Premiership and the Dubai Sevens last season and will be stronger. The former Pumas and Blue Bulls protégé, who was the club’s joint top tryscorer alongside captain Jaen Botes with seven tries, believes the move is best for his career. “Quins have a more professional set-up, they’re more advanced, have better facilities and I want to be at a place that suits my style. At the end of the day I must think about myself,” he said. Morton says he will cherish the experience of his one and only season in the red and black shirt. Despite his move, Morton isn’t expected to be available to play for Quins until the Dubai Sevens. He is recovering from a knee injury sustained during the 26-20 West Asia Cup win against Doha. Sarries’ chairman Jay Danielson admitted he was perplexed at Morton’s decision to leave Al Ghazal, particularly after the season they had, but he wished him well. Another player who is also leaving Sarries is multi-talented back Dougie Steele. The 25-year-old, who played scrum-half, fly-half and full-back last season, has returned home to Scotland, signing a contract with former club Ayr. Ross Mills formerly coached Jebel Ali Dragons in Dubai. Surrounded by the Dubai desert and with his peers falling by the wayside, Ross Mills could be forgiven for thinking he’s a gunslinger in the Wild West. 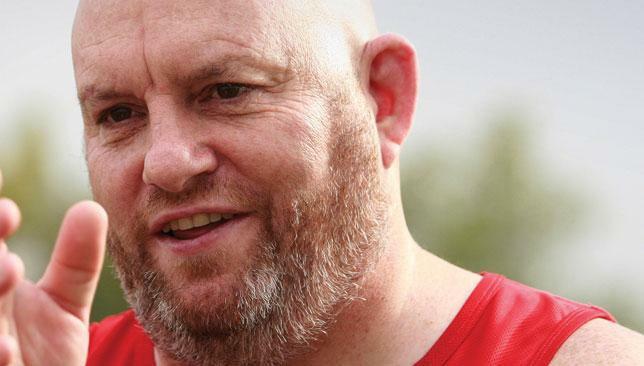 Coaches of Abu Dhabi Saracens and Harlequins, Jebel Ali Dragons, Dubai Exiles and Xodus Wasps all left their posts at the end of the 2014/15 domestic rugby season, the Dubai Hurricanes’ chief remains the last man standing from last term’s six Sport360 UAE Premiership sides. Wasps will be replaced by UAE Conference champions Al Ain Amblers in the Premiership for the 2015/16 campaign, but even their head coach, Keleto Dyer, has stepped up since Peter Aki quit following the Garden City club’s promotion. Last season was a chastening one for Mills and Canes. Things started so brightly, breezing through the first five games of the campaign, winning four to top the Premiership and earn a spot in the final. However, Mills’ men came up against a resurgent Abu Dhabi Quins, who had shaken off the cobwebs of two opening defeats, reaching the final following three straight wins. Jeremy Manning’s men stormed to a 39-19 triumph and Canes’ season sort of fell apart. The club has stuck by their man though and Mills has stuck to his guns too. And, with the majority of last season’s squad retained, a clutch of new signings, a raft of players returning from injury, a campaign as head coach under his belt and the experience of last season acting as a spur, Mills says confidence is high. “We’ve maintained the majority of our squad, which is good, attracted a few new names too, recruiting well in key areas, and we’ll have a few guys back who were injured for large parts of last season, so it’s like getting brand new players,” said Mills. Canes have attracted new recruits in the front row, second row, fly-half, centre, wing and full-back positions, although Mills was not revealing any names just yet. Meanwhile, back rower Alan Short, second rower Conor Coakley, influential No10 Mike Powell, as well as three-quarter players Chris Smith and Chris Coupland have reported back with a clean bill of health for pre-season, which is three weeks old. “We’ve maintained stability,” said the 48-year-old. “Nothing much has changed. Daniel Perry will remain as first team captain, Ian Greenhough as club captain. I have that first season under my belt so being here for a second season there’s a degree of normaility. After their Premiership final defeat, Canes’ demise deepened. They made the semi-finals of the Gulf Men’s League Trophy competition at December’s Dubai Sevens but were beaten by Doha. In the Gulf Top Six, meanwhile, their woes worsened, losing seven of their 10 games to finish fourth, 24 points adrift of second-placed Sarries. Despite the disappointing way in which their campaign unravelled, Canes will again be gunning for glory next season. “We’re targeting silverware,” said Mills. “Despite the way we fell off last year, I wasn’t asked to stand down. The players have a good bond on the field, we’re a hard team to beat and the lads enjoy each other’s company off it too.